.yoga is a gTLD that was proposed through ICANN's New gTLD Program. .yoga was delegated to the Root Zone of the DNS on the 15th October, 2014, completing the successful application for the string. .Yoga is a new generic top level domain targeted to yoga teachers, studios, yoga bloggers, and equipment vendors. .yoga was delegated to the Root Zone of the DNS on the 15th October, 2014, completing the successful application for the string. Thinking about the best way to stretch your web audience? Put yourself into the best position to grow with a .yoga address. 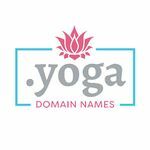 Teachers, studios, yoga bloggers, and equipment vendors can all benefit from a .yoga domain name: it’s short, it’s memorable, and it makes an instant connection between your brand and yoga. It’s the best way to show - before someone has even clicked your site or opened your email - that yoga is what you do. Top Level Domain Holdings Ltd., one of 68 applications that the company has filed for on its own behalf. This applicant submitted a Public Interest Commitment, which can be downloaded here. Donuts (Victor Falls, LLC), one of 307 TLDs applied for by Donuts. This applicant submitted a Public Interest Commitment, which can be downloaded here. Uniregistry, one of 53 TLDs applied for by Frank Schilling's company. Both Donuts and Uniregistry withdrew their applications after an April 2014 private auction that was administered by Applicant Auction, in which TLDH (Minds and Machines) won the rights to the string. On 29th May 2014, Top Level Domain Holdings received a Registry Agreement signed by ICANN for .yoga after passing the Initial Evaluation. This page was last edited on 17 November 2017, at 22:54.